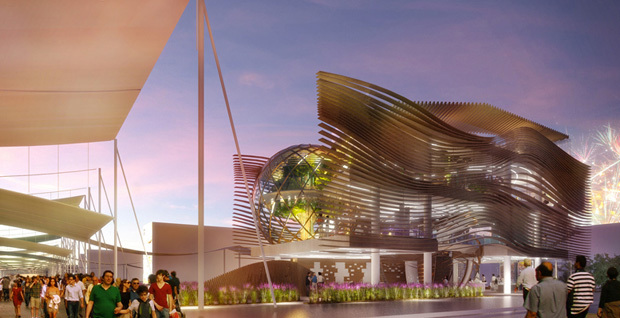 The national pavilions of Expo 2015 overlooking World Avenue are all “self-built” by their participants, skilfully interpreting the themes of food safety and sustainable development both from a scientific and technological point of view. 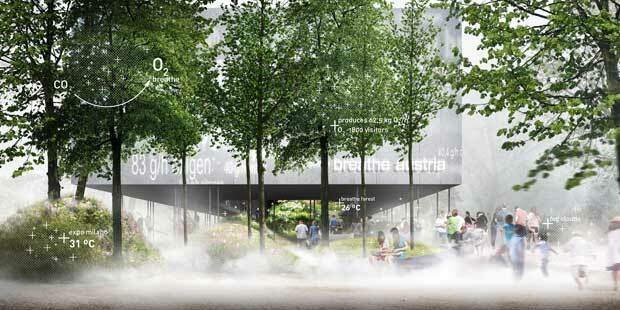 The idea behind it is the typical Italian square, and the lively community that interacts within and around it. The concept is a “tree of life”. 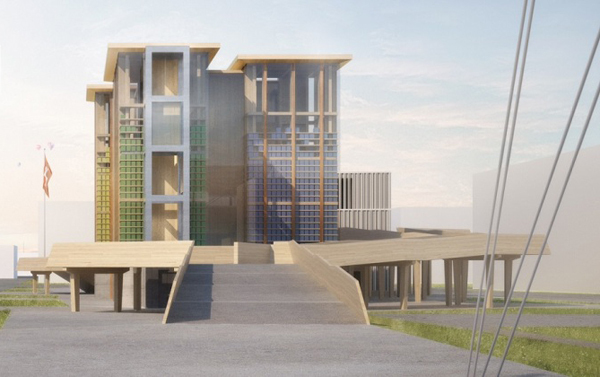 It’s the only building that will remain permanently on the site. 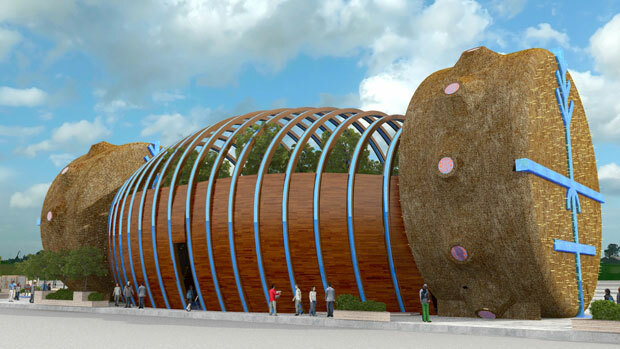 Inspired by the concept of biodiversity, the distintive feature and wealth of a country comprising different climatic, geographic and morphological areas, the pavilion consists of three large spheres that will guide the public in discovery of the Azerbaijan landscape. 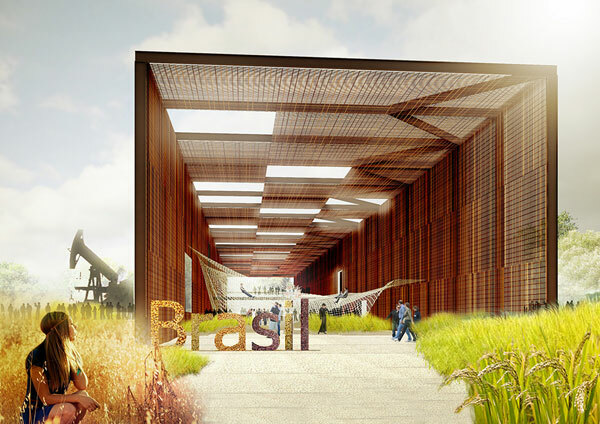 It will showcase the country’s principal agricultural, food and natural resources, such as bread, water and salt, the essential ingredients for energy and nutrition. The pavilion is divided into two distinct areas called the Imersão and Conteúdo, covered in a single metallic mesh which serves both to adorn it as well as to shade the two volumes. 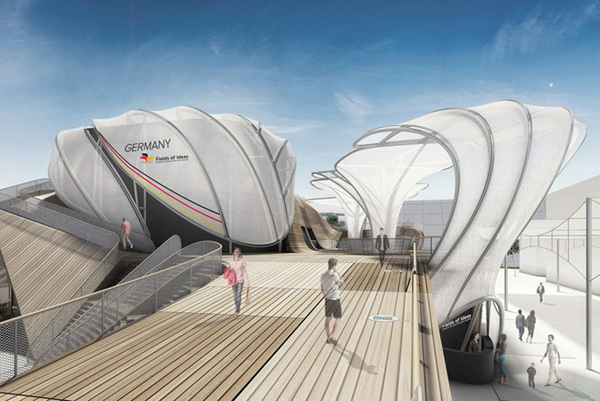 This is the first time that China participates in a Universal Exposition with a self-built pavilion. 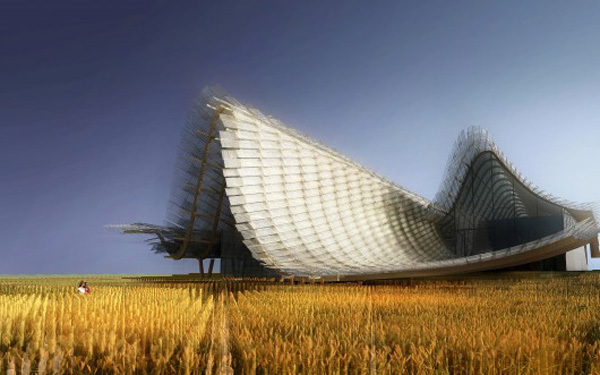 Its aim is to recall that “man is part of nature,” and to illustrate its cultural traditions and progress in agriculture. A brief trip through the country, with video installations on the subject of the agriculture and the people that inhabit this South American country. 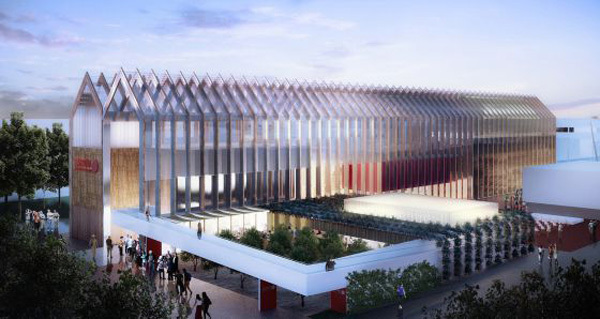 The three floor, all-white, temporary pavilion will have a swimming pool at the entrance and a roof garden on the top floor of the structure. 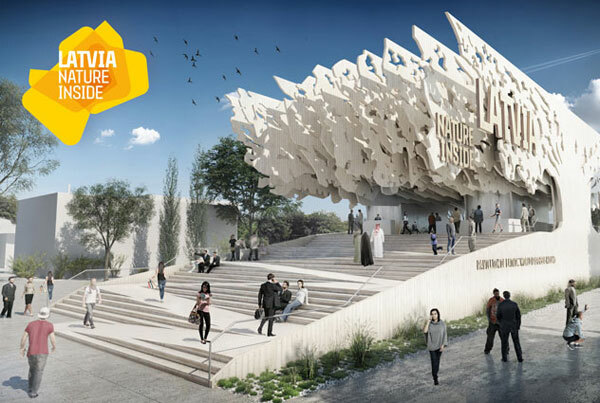 An authentic piece of France, turned “upside down” and constructed entirely in wood that can be dismantled and recycled: the pavilion will be both architecturally innovative and low tech, responding to the challenge of “producing more” and “producing better”. Water, soil, climate and biodiversity are the main resources present in nature, and an intelligent use of these resources is the focus of the question of the importance of food for the future of the planet. 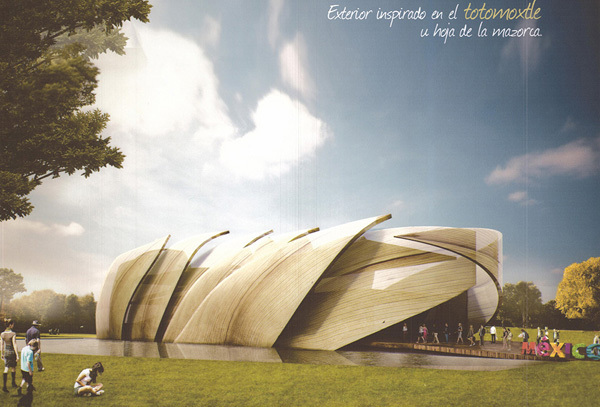 Key themes include healthy eating, food safety and biodiversity: the central area of the pavilion is inspired by Noah’s Ark, while its two extremities are reminiscent of ancient traditional Shamanic drums. 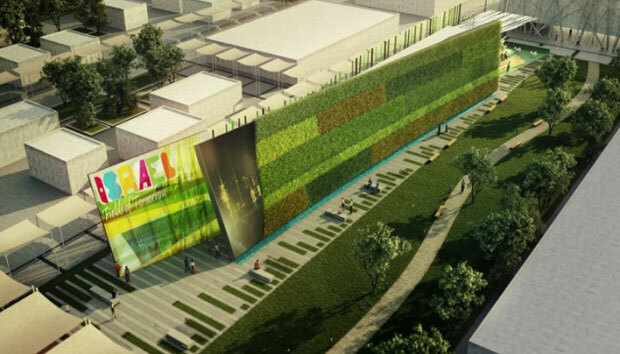 The lush green vegetation represents the technological impact that Israel has in the fields of food and agriculture today, working against desertification. 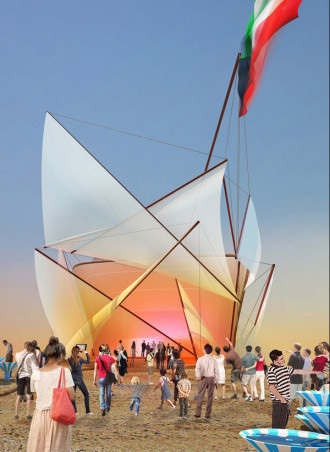 The basic design will resemble the sails of a Dhow, a traditional wooden boat that still today is used in the Arabian Gulf; it offers a rich experience to visitors who are invited to discover how new life can be generated by combining different natural elements. Visitors will be showered with the inhabitants’ knowledge of nature, culture, food and manufacturing, tourism and the business environment in Latvia today. 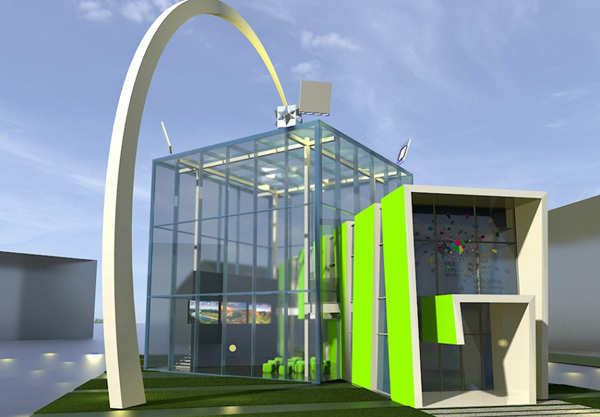 Lithuania will contribute to the theme of Expo 2015 both as a country with a rich agricultural traditions, and as a country focused on developing innovative technologies for industrial food production. 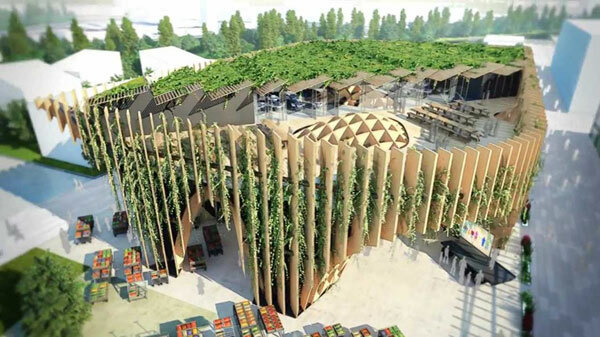 Both traditional and innovative in design, the pavilion illustrates, from seed to table, the program that is transforming agriculture on a small scale in a key area of the country’s economic development. 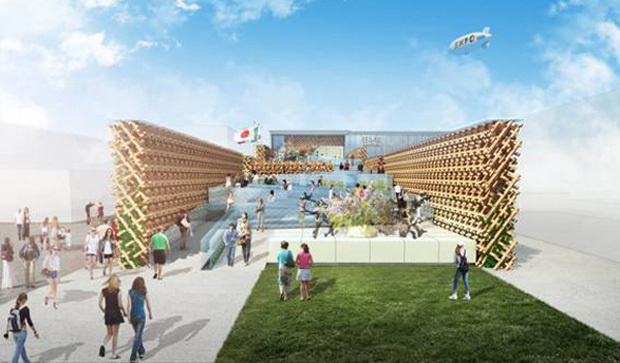 Inspired by the symbol of traditional Mexican cuisine, maize – or rather the “totomoxtle” – the husk of the corncob. 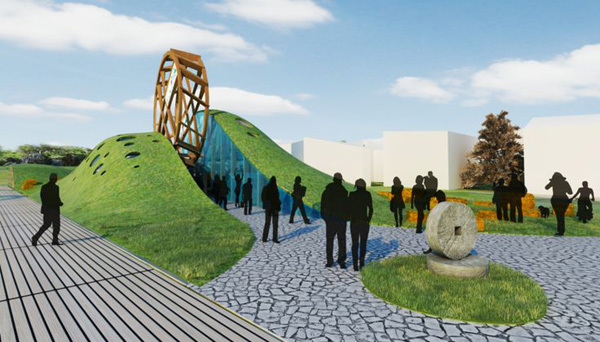 The metal and glass structure shaped like a peeled apple will be surrounded by a green wooden spiral, symbolizing an apple peel. The focus is on three main strands: tradition and innovation in the production and distribution of basic foodstuffs; maintaining a healthy diet and traditional Spanish habits; sustainable agricultural production. 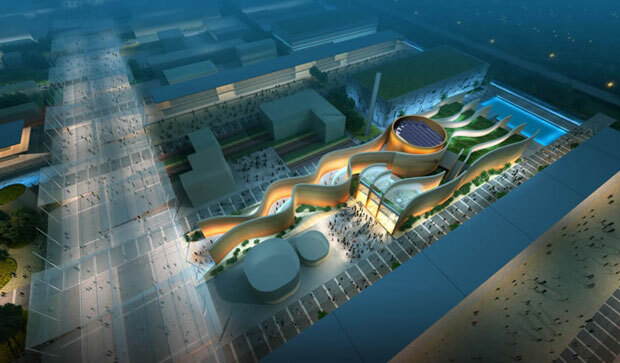 Thailand’s proposal for Expo 2015 is based on 3 key words: timely innovations to prevent world hunger and protect the environment, sustainability to support local farmers, and traditions, roots of quality, identity and spirit of its people. 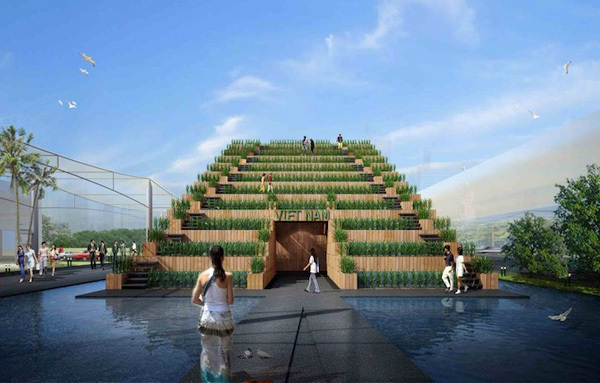 This stepped eco-friendly construction is a brilliant synthesis of Vietnam’s agricultural landscape, architecture and local tradition, with a nod to the future. 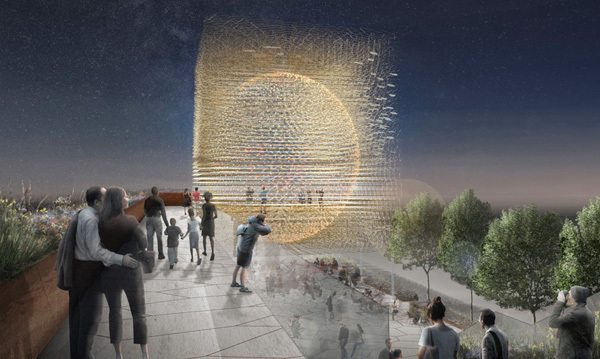 A pulsating virtual “hive” that highlights the plight of the honeybee and offers an immersive sensory experience that leaves visitors with a “lasting flavour of the British landscape”. 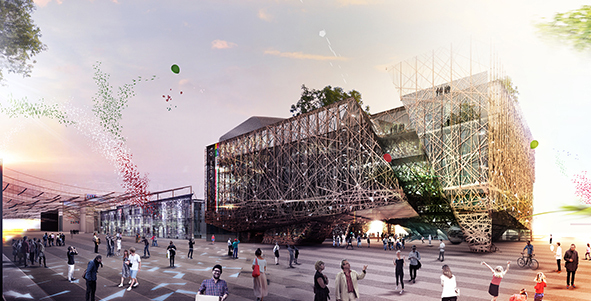 A virtual beehive made of fine steel lattice stands majestically in the centre of the pavilion. 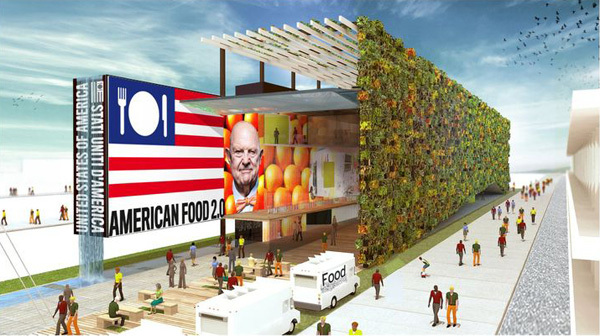 Complete with a harvestable vertical garden and structural characteristics similar to an American barn, USA’s pavilion will highlight food’s sustainable journey from farm to table and its return back to the farm.